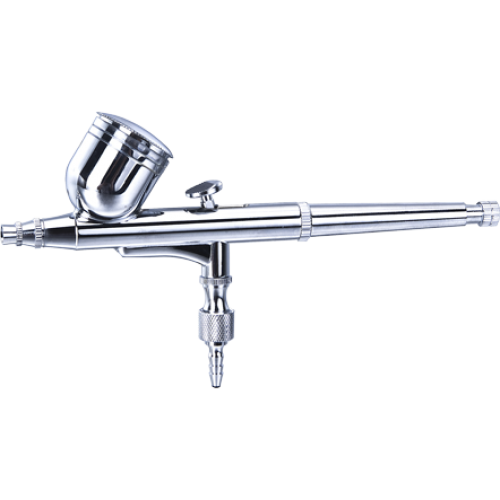 Pilot AB12 Air brush pen guns suitable for small artistic spray-jobs like free-hand, stencils, idol / model making etc which require precision spray. Available in 2 cup capacities( 1.5 ml & 10 ml) they are ideal for artists & artisans in design shops, art departments of advertising agencies, fine art studios, photographic studios and architectural studios. Art departments of advertising agencies. Artists & artisans in design shops. Round to flat pattern adjustment. Material output (cc/min) - 2 Min.